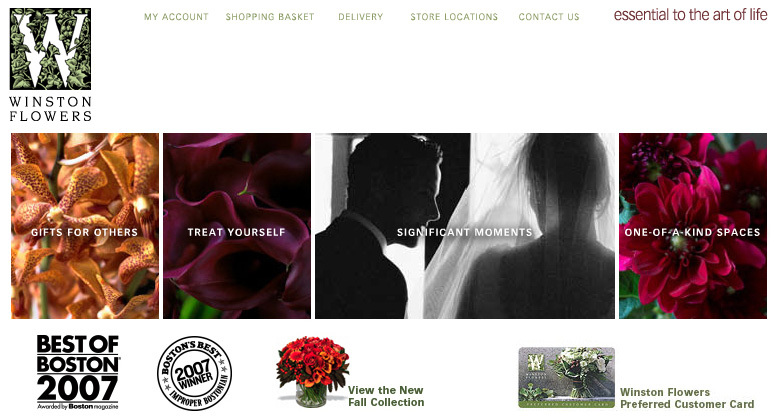 When Robert Winston and his teenage son, Maynard, first wheeled their pushcart of flowers onto Boston’s fashionable Newbury Street in 1944, they could not have foreseen that this humble enterprise would grow into a business that is recognized as one of the country’s premier florists. 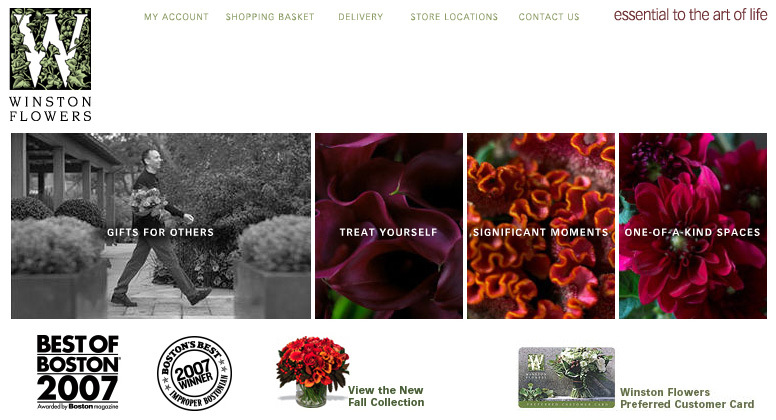 Today, the third-generation, family-owned company has a worldwide online presence and seven retail locations throughout the Northeast, including the one right where it all began, on Newbury Street. 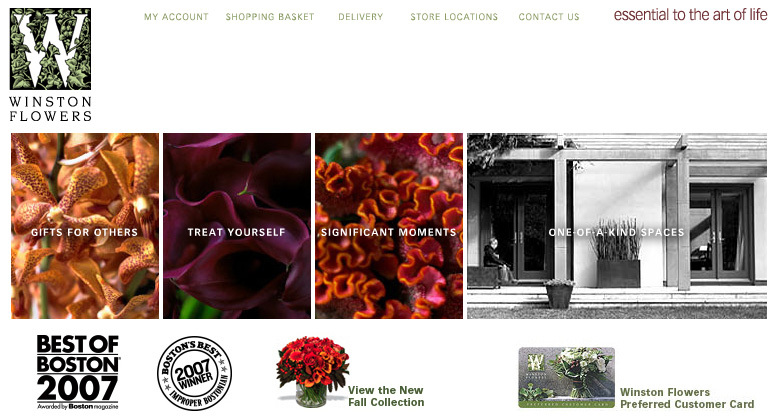 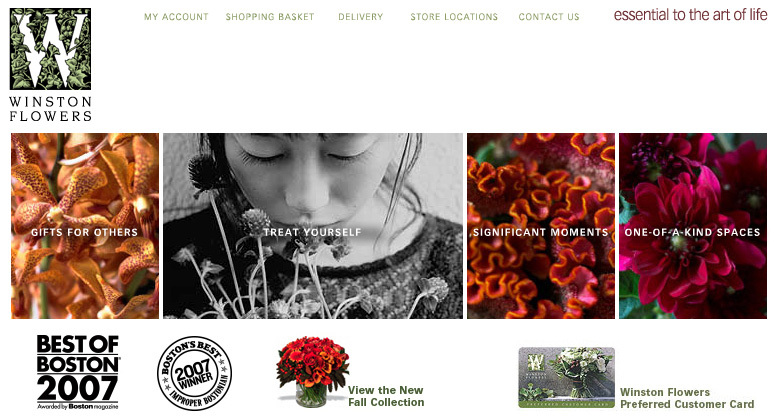 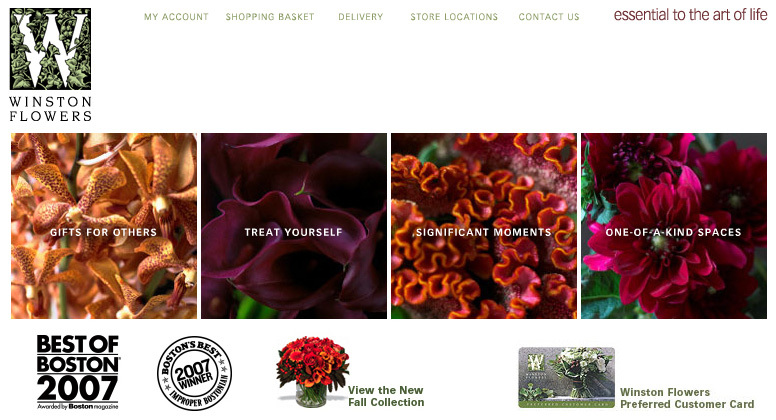 Despite the company’s long history and loyal following, Winston Flowers struggled with customer perceptions that flowers are for “special occasions.” In order to encourage Winston enthusiasts to incorporate flowers into their everyday lives, and to help non-enthusiasts explore new and different occasions for purchase, we developed new positioning, refined identity and an integrated online/offline marketing program to align the online brand experience with the in-store brand experience.